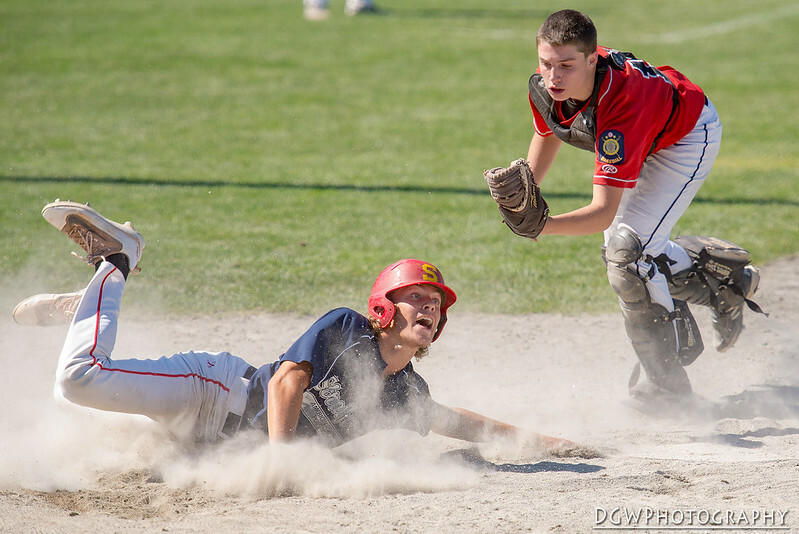 Stratford Post 42's Braydon Seaburg avoids Ellington catcher Matt Mayne's tag in the eighth inning of the Junior American Legion State Tournament final on Sunday. Seaburg's run tied the game at 10. 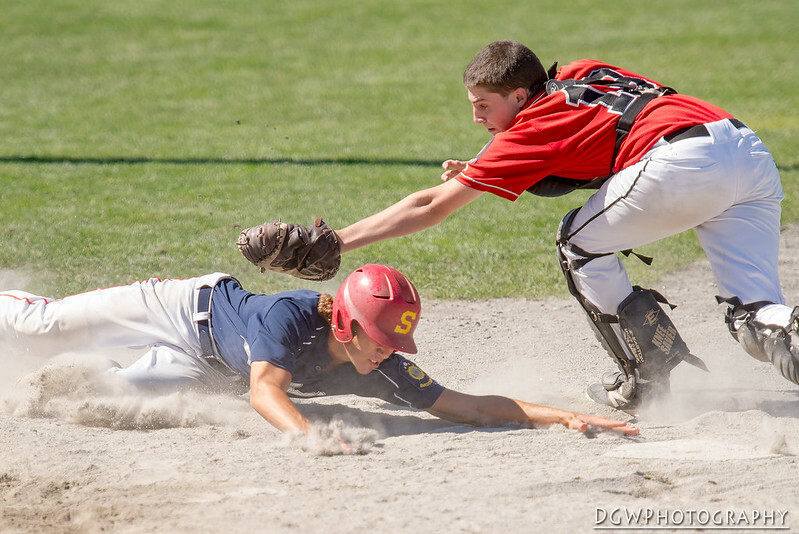 Stratford eventually fell to Ellington, 13-10 in the ninth inning.